The new edition of Veterinary Dentistry for the General Practitioner has been thoroughly revised and updated to ensure it continues to meet the needs of today's veterinarians and veterinary students. The book offers all the theoretical knowledge and practical help any general practitioner needs in order to practise good dentistry, providing comprehensive and detailed knowledge of how to diagnose, prevent and treat common oral conditions in the dog and cat. It also presents information as to diagnosis and initial management of less common diseases, where the ultimate treatment will generally be performed by a specialist but the general practitioner needs to be able to identify a problem and have a basic understanding of the pathophysiology of the tissues involved. Dental conditions of lagomorphs and rodents are also covered. 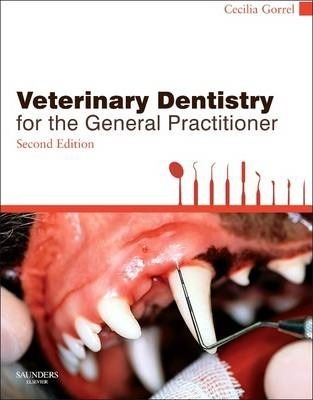 In its new second edition Veterinary Dentistry for the General Practitioner remains the complete resource for the general veterinarian and unique in its detailed focus on common dental conditions. Illustrated with many updated and additional photographs. "If you had the first edition of this very practical dentistry guide, no doubt you will welcome the new one. Packed with pictures, drawings, practical advice, step by step procedures and references, this book provides all that the general practitioner needs to know to deal confidently with most dental procedures. The numerous illustrations will also be very useful in explaining your work to the owner." "While veterinary dentistry is not a rapidly changing field, there are several major updates to be found in this edition. The advent of digital radiography has brought about a completely revised and updated chapter with clear instructions for even the most novice dental radiographer. There are beautiful photographs of hand pieces and dental burrs, and these would have been enhanced by the identification of each and an explanation of which burr to use for which indication. On the whole, this little book provides an up-to-date complete reference guide for vets in general practice and should be part of every practice's library."